David McCoy is promoted to President and Chief Financial Officer of First National Bank and Trust (FNBT) and elected as the newest member of the Board of Directors of Centre1 Bancorp, Inc., the holding company of FNBT. David has become a valued member of my executive management team. His vast experience in management, his leadership skills in financial and risk management, and his focus on business development and process improvement will help lead First National Bank and Trust into the future. 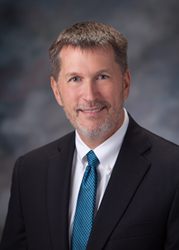 Steve Eldred, Chief Executive Officer (CEO) of First National Bank and Trust Company (FNBT) is pleased to announce that David McCoy, CPA, has been promoted to President and Chief Financial Officer (CFO), and has been elected as the newest member of the Board of Directors of Centre1 Bancorp, Inc., the holding company of FNBT. Steve Eldred will continue as CEO and Chairman of the Board, and will remain active in guiding the strategic direction, business development, and corporate management policies of the bank. As President and CFO, McCoy is responsible for the day-to-day operations of the bank, providing oversight for the sales teams, wealth management, human resources, information technology, marketing, and the internal loan and deposit operations teams. He will continue to be responsible for aligning financial goals and reporting with the bank’s strategic plan, assuring safe and sound risk management practices, leading the bank’s asset-liability committee, and communicating financial results to every team member at First National. McCoy joined the company in October 2016 as EVP and CFO. With over 30 years of banking and executive leadership experience, McCoy came to FNBT from The National Bank & Trust Company headquartered in Sycamore, Illinois where he was senior vice president (SVP) and CFO. He was director of risk management services for RSM McGladrey from 2005 to 2006, and was on the executive management team as SVP, CFO and enterprise risk management officer for Fifth Third Bank from 1993 to 2004. McCoy earned an associate’s degree from Ohio Valley College in Parkersburg, West Virginia, and earned his bachelor’s degree in business administration from Harding University in Searcy, Arkansas. He is licensed in Illinois as a certified public accountant (CPA), and belongs to the Illinois Society of CPAs and is a member of the American Institute of CPAs (AICPA). McCoy has completed many industry related courses, including the SNL Executive Program in Bank Financial Leadership through the University of Virginia. McCoy and his wife, Kathy, are relocating to Beloit, Wisconsin, and have three grown children. Currently, McCoy serves as an elder for the Edgebrook Lane Church of Christ in Sycamore, Illinois, where he was also treasurer for the past 16 years and teaches Bible classes and lessons regularly. He is a former board member for the Northern Illinois College of Business, Belief Program for Building Ethical Leaders Using an Integrated Ethics Framework in Business and he frequently presented as a guest speaker. With an affinity for jazz music, McCoy also held several board-level positions for the non-profit group, St. Charles North Friends of Music. While Steve Eldred’s title has changed, his commitment and involvement with the bank, our customers and our communities we serve remains as strong ever. Eldred was born and raised in Beloit, Wisconsin and is the fourth generation of his family to lead the bank. 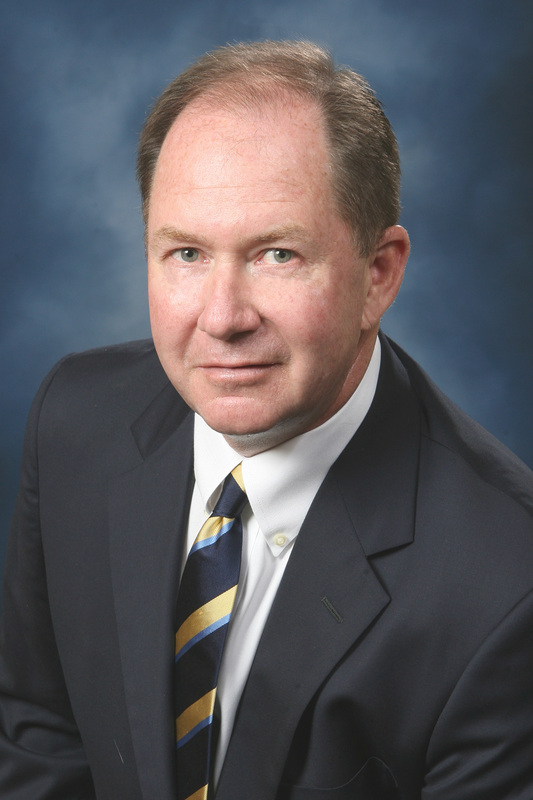 He joined the company in 1981 and has served on the Board of Directors for Centre1 Bancorp since 1988. He was named President in 1998. He will continue to develop high-level strategies, make major corporate decisions, and as Chairman of the Board will act as the main point of communication between the board and the bank. First National Bank and Trust Company is a family-owned, community bank headquartered in Beloit, Wisconsin. Chartered in 1882, First National Bank and Trust Company now serves nearly 30,000 households in 13 communities and 16 locations in Southern Wisconsin and Northern Illinois with assets of approximately $1.2 billion. Commitment to full service banking, investments, asset management, exceptional service, and Sound Advice has positioned First National Bank and Trust Company as a Stateline leader in the industry. For additional information, visit https://www.bankatfirstnational.com.